#MileHighBasketball sp@BeMore27arks the (2@nuggets-2) road victory in San Antonio with 24 PTS, 6 AST! 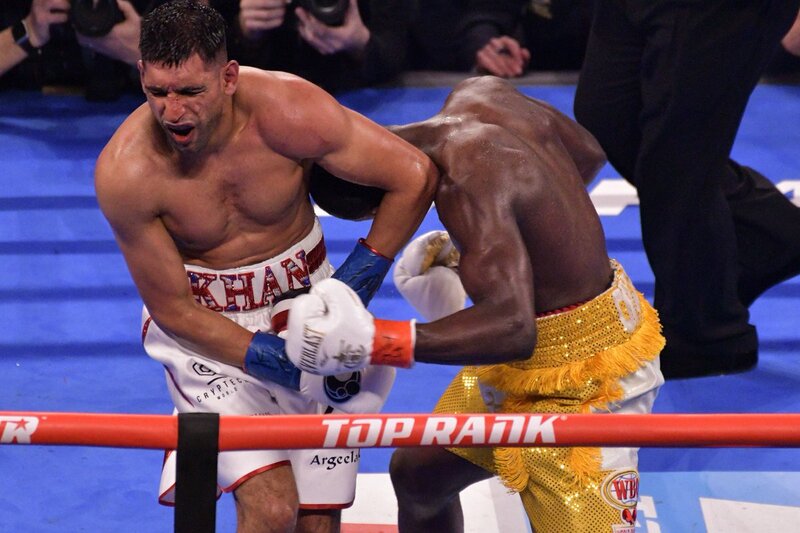 Amir Khan was unable to continue after a Terence Crawford low-blow in the 6th round last night. “I saw Amir’s face change and he was shaking his head." Amir Khan faces a battle to restore his reputation over the next few days after Saturday's damaging defeat to Terence Crawford. Key figures at Barcelona leapt to the defence of Philippe Coutinho after the Brazilian was booed by fans at Camp Nou on Saturday night. Was Crawford's last hit on Khan a "low blow?" The two debate it after the fight.